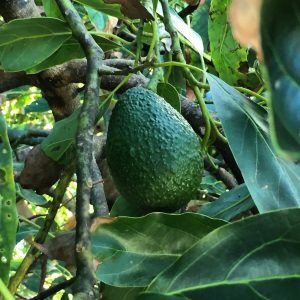 Things I Learned on an Avocado Farm - Video - JP loves LIFE! Seriously, I am not sure I’ve ever enjoyed a farm visit more. I mean, it is pretty tough when you get to pick up so many avocados! I ate them for a week I think! I will probably write a few more posts in the future but as I have been playing with video more, I decided this would be something that would not only make me smile but you guys too! So let’s start with the video and then I’ll write some more! I had the chance to meet Mimi at a Produce Marketing show a few years ago. And have caught up at a couple of blogger conferences too. She’s such an incredibly friendly person, that I immediately felt like we could chat all day. So when I realized a work meeting was cancelled and I had a few hours open, I jumped at a chance to visit and see her farm. I’ve always found that you get to know a person SO MUCH better by meeting them on their turf! Ed started the farm in the early 1970s and she eventually found her way to California from her hoe in Vermont. Ed won her over she says by bringing some amazing guacamole to a church singles event. I have to say it is understanding that she may be powerless to that! They’ve raised a great family, some of whom are in various areas of agriculture, and they have been able to grow the farm some. Seeing avocados on the tree, I immediately asked whether they were ripe now. Well, they are mature I guess, but they will not complete the softening process until they are picked and let stand a while. (Here are her tips for perfectly ripe avocados!) That means farmers can leave them on the tree for better prices but it also is risky if big winds come in cause those winds can knock a lot of fruit off the tree! She taught me how to harvest them. There is a long pole that you use, at the far end of it is a bag as well as a clipper that cuts the stem and lets the avocado drop in. as harvesters get them, they trim the stem back to the fruit — don’t break it off though as breaking it lets the quality break down. 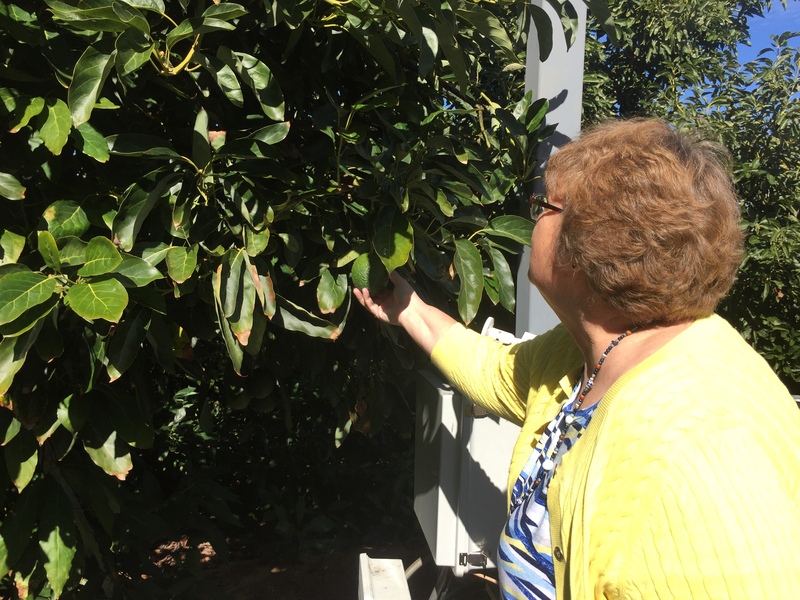 The Holtz family grows several varieties — the Hass avocado that most people know from the grocery store, the fuerte (my new favorite! See what Mimi has to share about the fuerte avocado), the Reed (great post from Mimi on Reed avocados) and bacon (of course Mimi has a post on bacon avocados!). Touring a farm, you sometimes find the greatest moments of learning come from looking out from the farm across a valley or neighboring fields. With the Holtz farm, I saw acres of avocados have been taken out of production in the past few years due to the drought. The price of water and labor both keep increasing. It was heart-wrenching to see trees untended. I was on the farm for a couple of hours, but Mimi has been there for years! She has so much great content on her blog that I thought it would be far easier for me to simply guide you to some of the great posts she already has! I’ve already linked to several, but there are a few more I want to draw your eyes to. Making Guacamole with Hard Avocados — This post helps you understand what to do with those hard avocados we have all found ourselves with! She also talks more about the ripening & softening process. How We Make Guacamole for a Large Party — Since I am publishing on Super Bowl weekend, I bet some of you want a good guacamole recipe! I have to bet she’s got it right! Why We Cut the Trees Down: Avocado Trees Can Regrow! — This one really helps you understand part of the view I had while I was there. We had so much fun on the day you visited! Glad you learned a few things! We learned that you are a huge avocado fan! 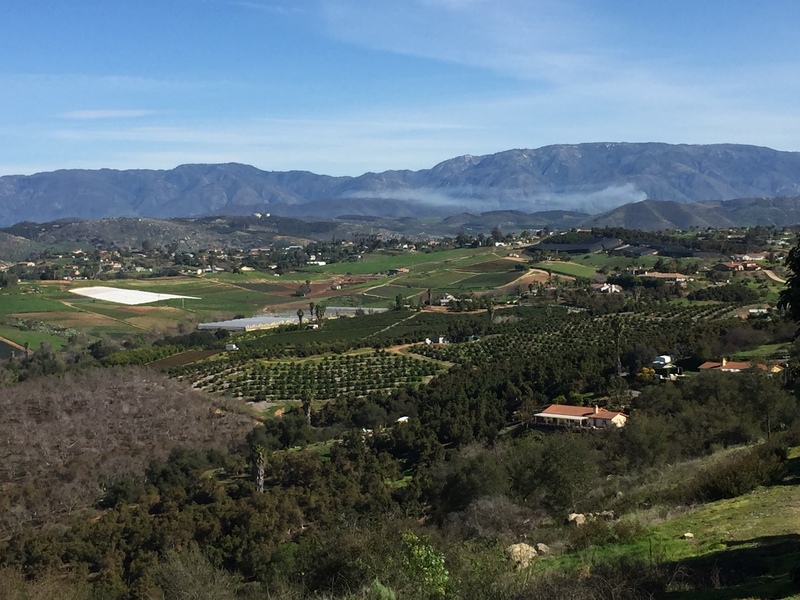 You’re welcome to come back for more amazing Calfornia avocados! Thanks! Working on my videos was a goal for 2018 sand I already feel like it is getting there ya know? Very cool! And thanks for sharing!